If you're in the market for a Marc Jacobs purse, you know how lovely they are. With their high-fashion style, supple materials and versatile uses, a Marc Jacobs purse is the perfect accessory to any outfit. Unfortunately, you do need to be careful when shopping for them. Many people sell replicas and not the real deal. Here are some tips for spotting a fake Marc Jacobs purse. Look at the underside of the bag's zipper lock. All Marc Jacobs purses have imprints on the bottom of the zipper lock that reads, "riri." If the area is blank, it not an authentic purse. Some replica makers have gotten better at spoofing the purses and will imprint the zipper locks with "riri." Look at the shape of the zipper lock and compare it to photos of authentic Marc Jacobs zipper locks. If the shape is different, then you are dealing with a replica. Observe the handles of the purse. If they are wrapped in plastic wrap, it is likely not a real Marc Jacobs purse. Authentic purses do not come from the factories with this tubular wrapping. Examine the craftsmanship of the bag. Marc Jacobs is a very high-end designer label. They do not produce sloppy purses. If the handiwork appears to be sloppy, uneven or mismatched, it is undoubtedly a replica. Compare photos of the bag for sale with photos of authentic Marc Jacobs purses, preferably from the official Marc Jacobs website (see Resources below). Oftentimes, fake purses will have details done incorrectly such as smaller pockets or missing a pocket flap on an interior pocket. 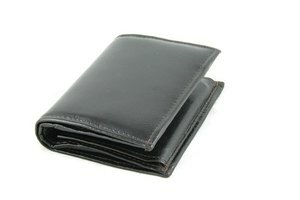 Examine the photos carefully and see if the purse you are looking to buy is at all different from the authentic purse. See if the purse has a metal label inside that reads "Marc Jacobs." All authentic purses have this. If the purse has a leather or fabric tag instead, it is not authentic. Observe the quality of the purse's leather. Marc Jacobs uses only fine, high-quality leather. If the bag feels cheap or overly stiff, it is probably a replica. Look for serial or identification numbers on the purse. Marc Jacobs does not mark their purses with such numbers. If the purse features identification numbers, it is a fake. Purchase Marc Jacobs purses from an authorized retailer. Upscale department stores never sell fakes.